Download our summary info sheet of the workshop here. In light of the ongoing negotiations on the European Commission’s proposals on the future EU research framework programme (Horizon Europe), EuChemS, the European Chemical Society invites participants to reflect on the role an enhanced and ambitious programme can have on the state of research and innovation in Europe, and subsequently on the employability for chemical scientists. 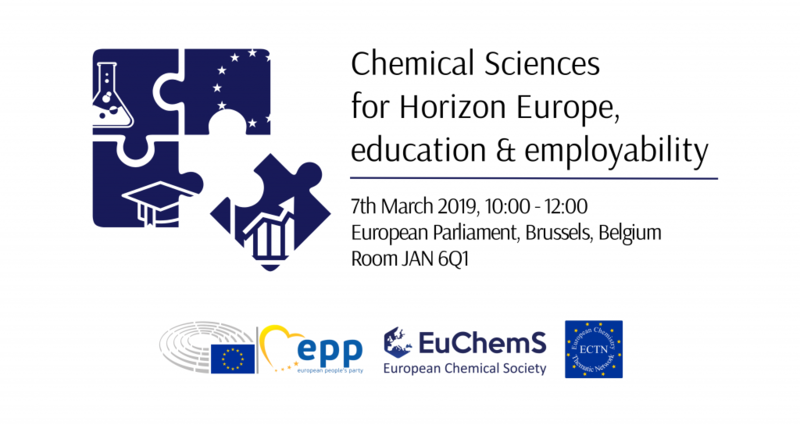 The aim of the workshop is to understand the priorities of chemical research for Horizon Europe, to comprehend the meaning behind the latest employability figures of chemical scientists in Europe, and to present improvement measures for the future. With issues such as gender parity, salary discrepencies, job prospects, aquired versus needed skills, a complex web of intrinsically linked problems is quickly visible, bringing together education, employment and research in Europe. Together with policymakers and representatives from academia and industry, and with case study interventions, we aim to provide a constructive debate on how we can work on and improve the existing conditions. 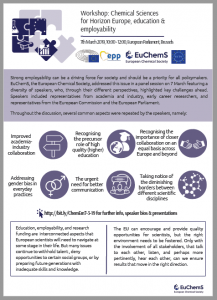 In 2014, EuChemS organised a first workshop on the 1st survey of the Employability of chemists, exploring the labour market challenges and suggesting ways forward. This 2019 workshop confronts the challenges that still exist for chemists, whether in research institutes, universities, or in industry. The workshop aims to address ways of improvement, and potential effects for chemistry, scientists and society. It bases the analyses on the 2nd survey for the employability of chemists, published in November 2018. Reiner Salzer retired as Professor of Analytical Chemistry at the Technische Universität Dresden, Germany. His main scientific interests include molecular monitoring for early diagnosis of diseases and quality standards in university education. He initiated and coordinated the Employment Survey for European Chemists. Professor Salzer has authored 22 patents in different fields of analytical chemistry, and over 300 books and scientific publications. He was elected on to a variety of national and international boards and is a member of the Norwegian Academy of Science, a recipient of several national and international medals. He served as President of the Division Analytical Chemistry of the German Chemical Society and as National Delegate to the Division of Analytical Chemistry of EuChemS, where he was Head of the Study Group Education. He is Chairman of the ECTN Label Committee for the Chemistry Eurolabel® for quality education. Silvia Gomez is the Secretary General of YERUN since October 2016, when the network decided to open its Brussels office. Responsible of the strategic leadership, networking actions and the implementation of the network’s objectives, she coordinates and supports the network’s five working groups, one fully dedicated to Graduate Employability. The Young European Research University Network (YERUN) is a cluster of highly-ranked young universities in Europe that strengthens and facilitates cooperation in the areas of scientific research, academic education and services which benefit society. Before YERUN, Silvia worked as the representative of Coventry University in Brussels and as EU Policy Adviser at the European Federation of Nurses. 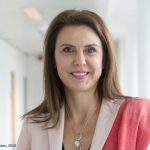 Antoaneta Angelova-Krasteva is Director for Innovation, International Cooperation and Sport at DG EAC since October 2016. Her current position also includes, amongst other things, responsibilities for the Marie Skłodowska-Curie actions and the European Institute of Innovation and Technology, which are part of Horizon 2020. Having joined the European Commission in 2008, she worked in several DGs, dealing with external relations and enlargement (DG Justice, Liberty and Security), then later internal security and police cooperation (DG HOME), as well as in DG CONNECT as Head of Unit. Prior to working for the European Commission, Antoaneta worked on Bulgaria’s accession to the EU in the field of justice and home affairs. 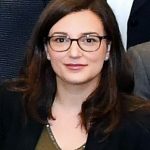 A graduate in political science of Sofia University, she has also acquired training and qualifications in democracy and governance matters, and European studies in Germany (Wissenschaftszentrum Berlin für Sozialforschung) and the UK (Sussex University). She has also gained valuable professional experience from working for NGOs active on legal and political matters. 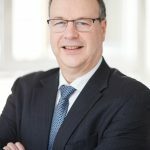 Kris Bosch is Advisor on Labour Market and Education at essenscia, the Belgian Federation for Chemistry and Life Sciences industries, which represents nearly 750 companies. 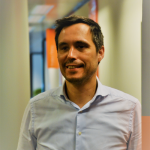 Prior to his position at essenscia, Kris worked for several years in Business Development and HR at Brussels Airlines. In 2012 he made the move to the chemical industry by joining BASF as a Business Partner until 2017. Kris holds a degree in Political Science as well as a Master’s degree in Anthropology from the University of Leuven, and a Postgraduate degree in Social Law from the University of Antwerp. Prof. Dr. Lutgarde Buydens is Professor in Analytical Chemistry and dean of the Science Faculty of the Radboud University, Nijmegen, The Netherlands. She studied Pharmacy and obtained her PhD at the Free university of Brussels, Belgium and did a postdoctoral stay at the University of Illinois in Chicago, USA. Her area of expertise is chemometrics. 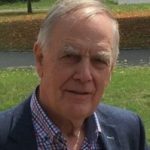 Prof. Buydens has co-authored more than 250 peer refereed papers, published several handbooks on chemometrics and supervised some 30 PhD students, is editor of the journal Analytica Chimica Acta and collaborated in, and coordinated several large national and international project including several EC –projects. 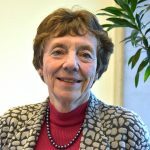 She is co-founder and member of the executive board of COAST (Comprehensive Analytical Science and Technology), a Dutch private public network with more than 60 participants from Industry and academia. 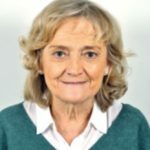 She is member of the Academia Europaea and received for her work in 1992 the Elsevier Chemometrics award for young chemometricians, in 2012 the EAS award for outstanding achievements in chemometrics and in 2018 the CAC lifetime achievement award for chemomtrics. 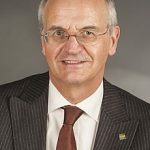 In 2017 Professor Buydens was knighted to the Royal Order of the Dutch Lion for extraordinary social and scientific contributions to society. Torsten John is a Ph.D. Candidate in Biophysical Chemistry at Leipzig University, Germany. He performs his research jointly at the Leibniz Institute of Surface Engineering (IOM), Germany, and at Monash University, Australia, where he studies the aggregation of amyloidogenic and antimicrobial peptides near nanoparticles and biomimetic membranes. Prior to his Ph.D. studies, he graduated with a Bachelor (2012) and Master of Science degree from Leipzig University, Germany, and undertook research projects at RMIT University, Monash University and The University of Queensland, Australia. Among others, Torsten John was selected as SciFinder Future Leader 2017 and he is recipient of a 2018 Australia Awards–Endeavour Research Fellowship. 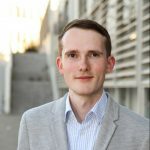 Torsten John is active member of the German Chemical Society (GDCh) and the Secretary of the European Young Chemists’ Network (EYCN) since 2017. Dr. Nineta Hrastelj is the Secretary-General of the European Chemical Society (EuChemS) since 2011. 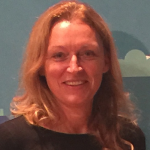 She has worked at senior management and scientific positions in private and public sectors, both at the national and at the European level. She completed her PhD at the University of Ljubljana in Slovenia. Her research topics cut horizontally across analytical chemistry, chemometrics and metrology, including infrastructure aspects. She is author, co-author and editor of many publications in research and education as well as policy related topics of general concern. Her contributions were recognised through several awards.